The organic reaction known as BIrch Reduction illustrates how benzene is reduced to give a 1,4-cyclohexadiene. The resulting compounds from the Birch reduction are unconjugated cyclohexadienes. These reactions usually take place by sodium or lithium metal dissolved in ammonia and in the presence of alcohol. 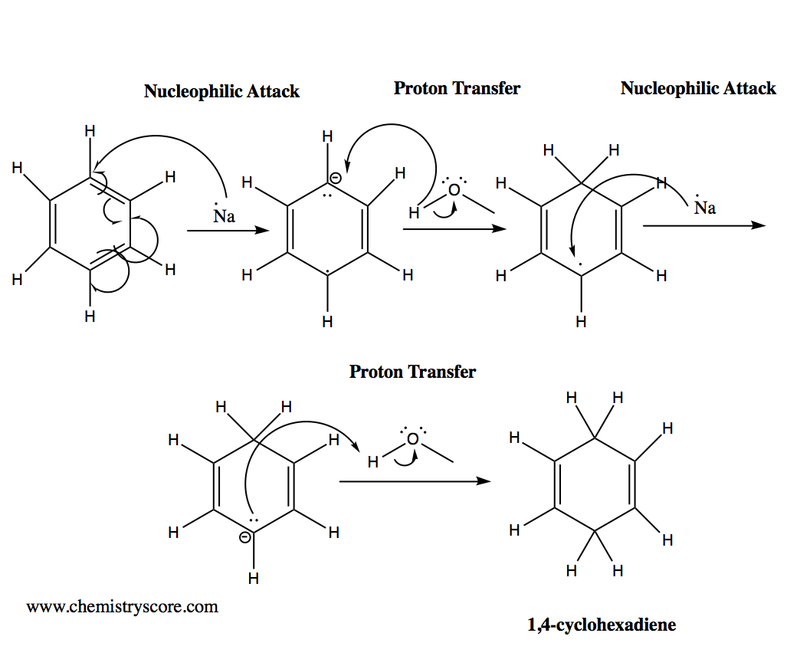 Moreover, the reaction consists of 4 steps: Nucleophilic attack, proton transfer, nucleophilic attack, proton transfer.